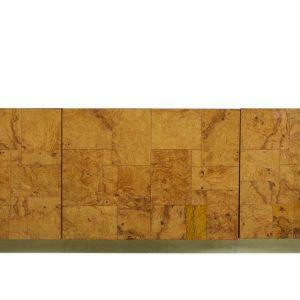 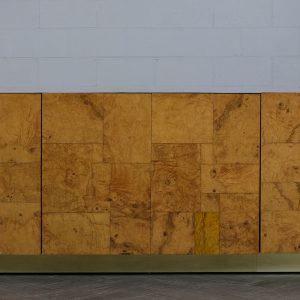 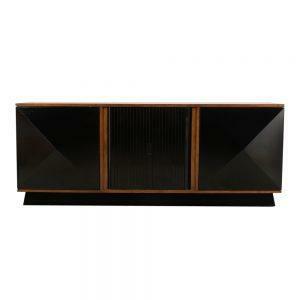 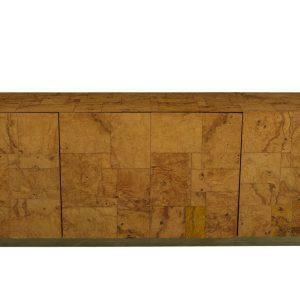 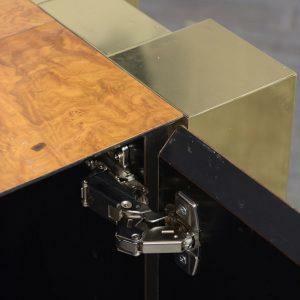 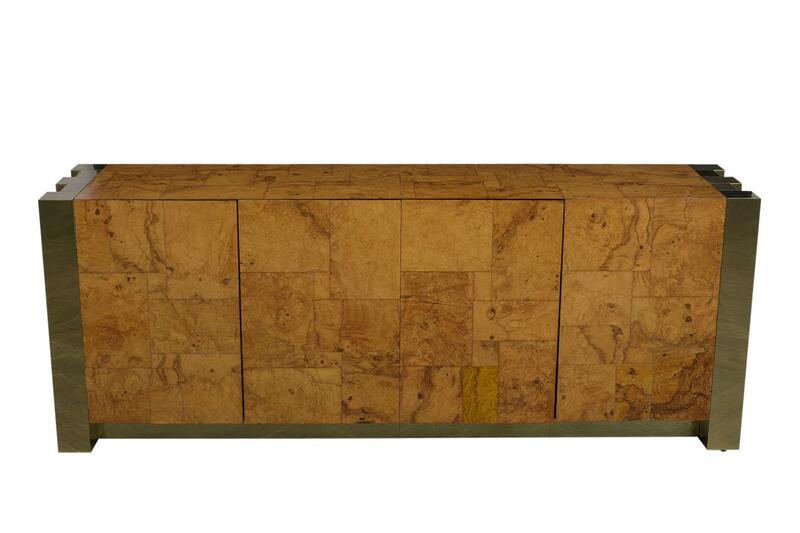 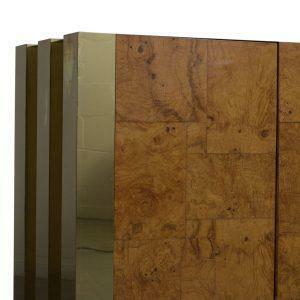 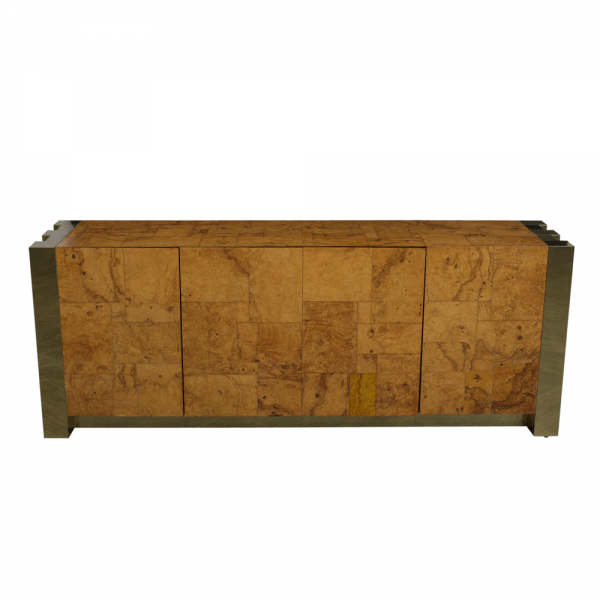 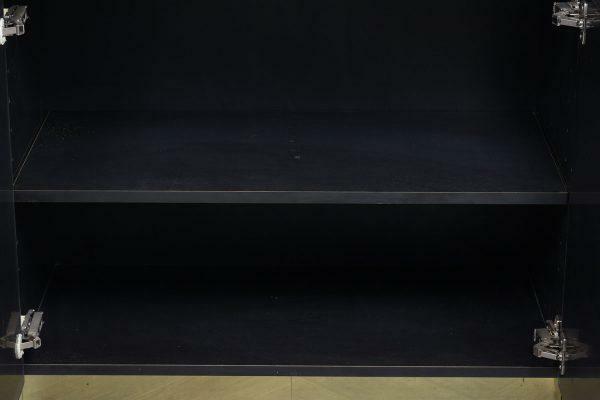 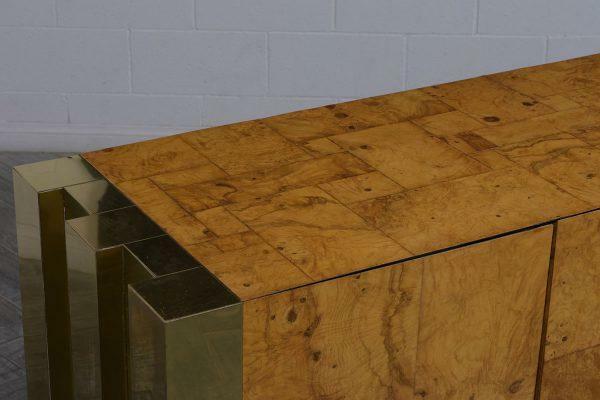 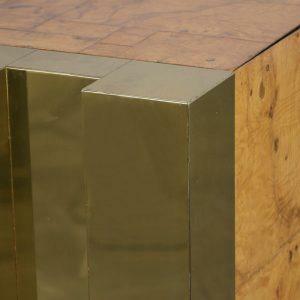 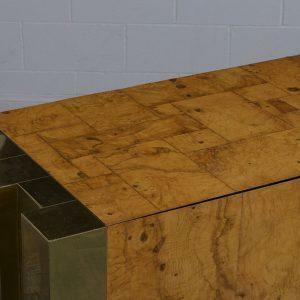 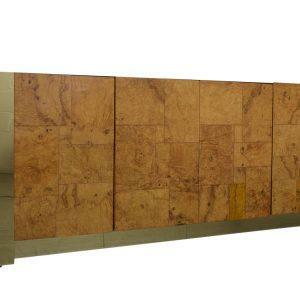 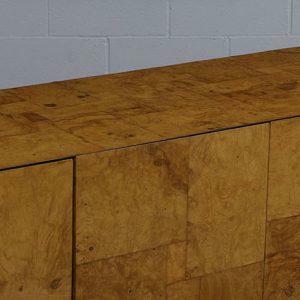 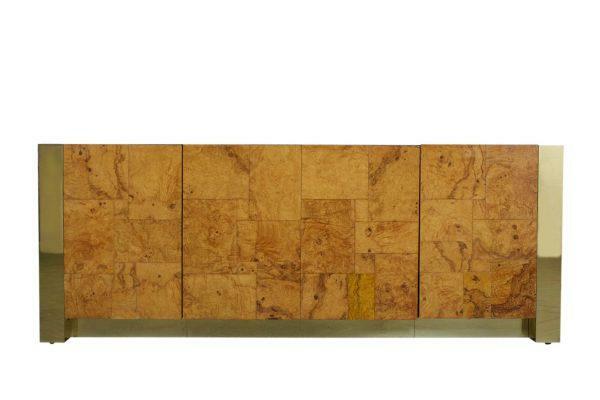 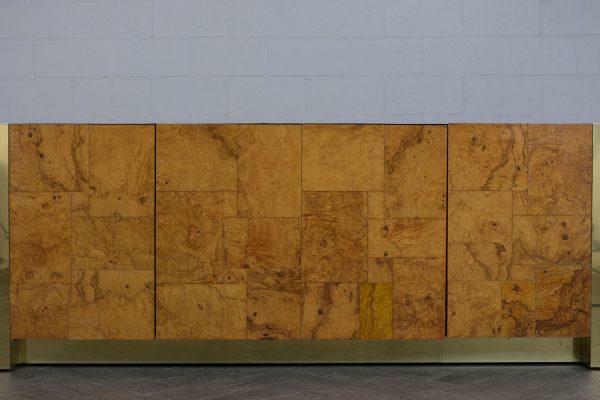 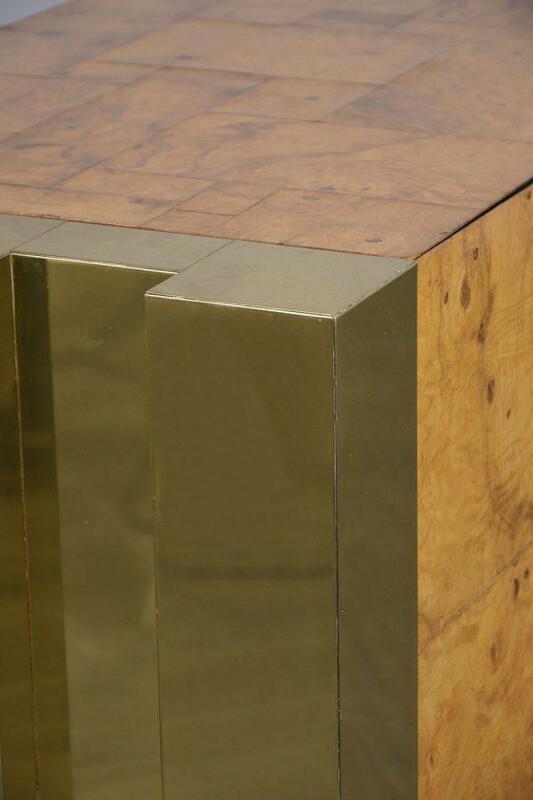 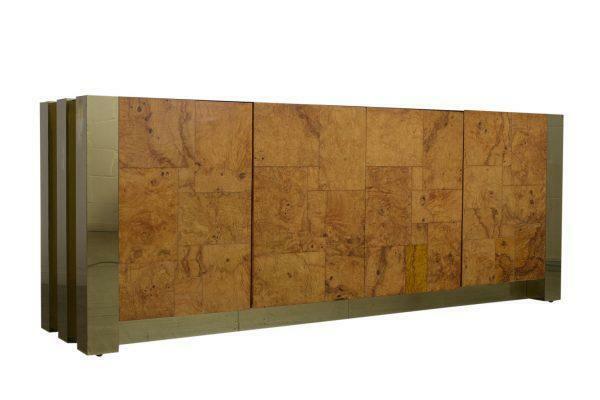 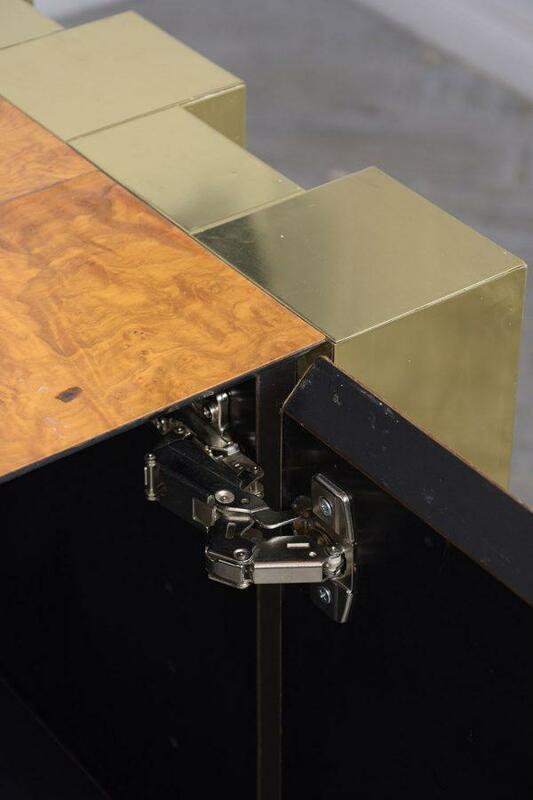 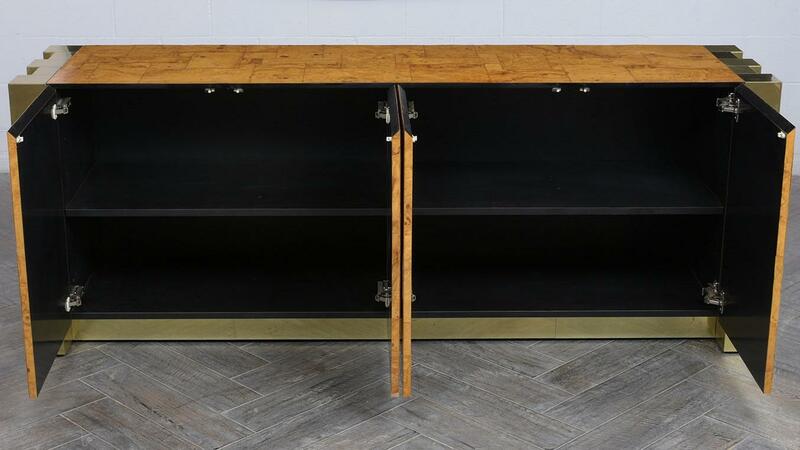 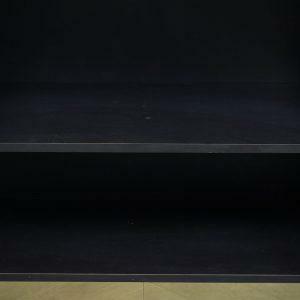 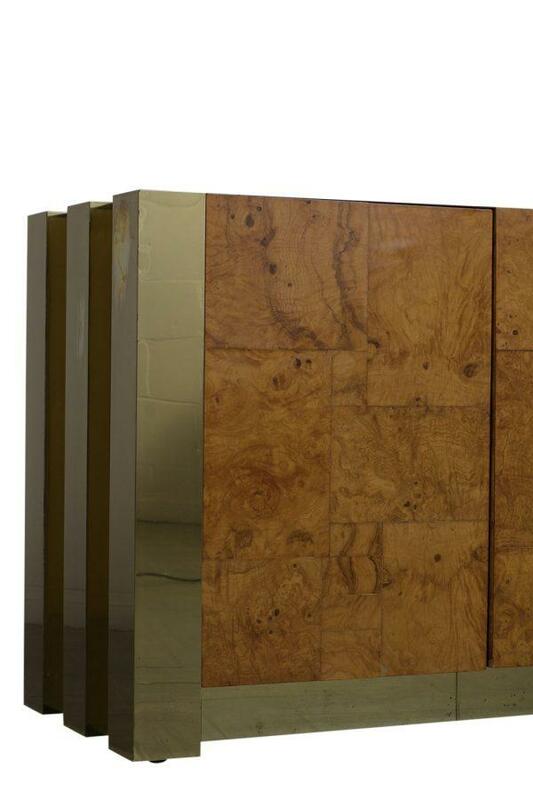 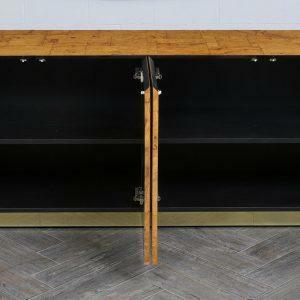 This 1970’s Cityscape credenza designed by Paul Evans has its original golden finish. 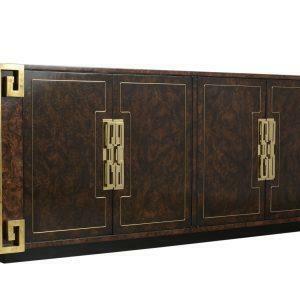 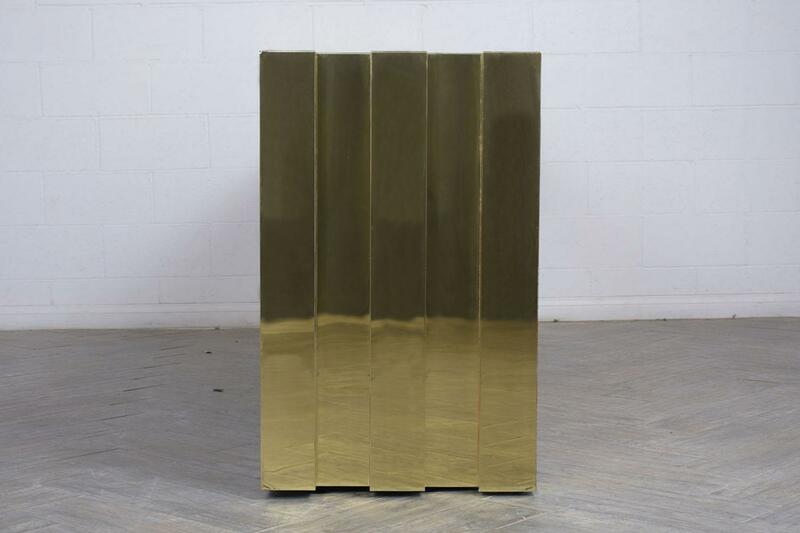 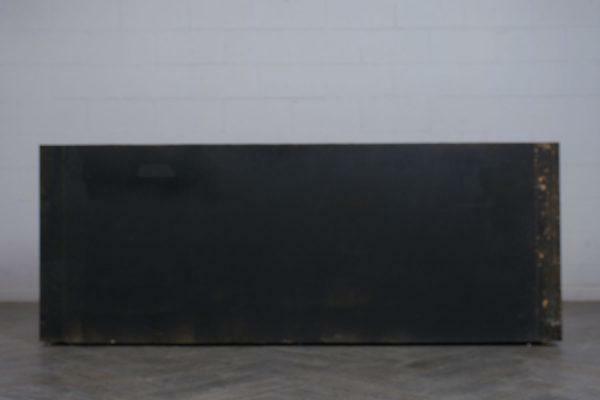 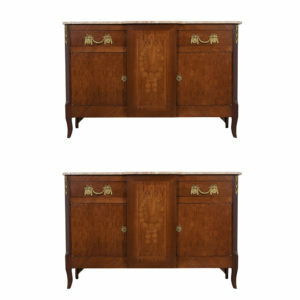 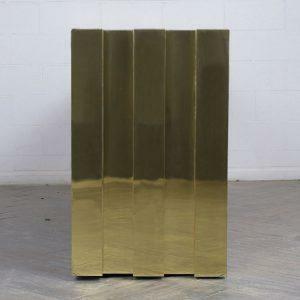 This magnificent piece has large brass accents along the sides and bottom. 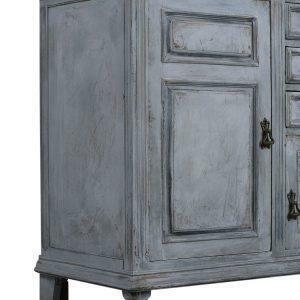 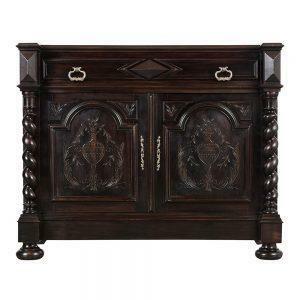 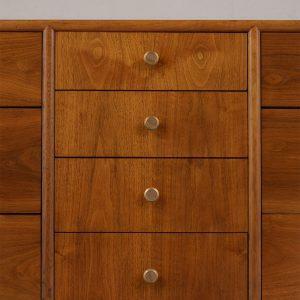 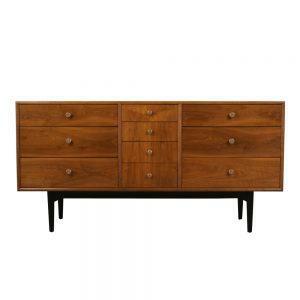 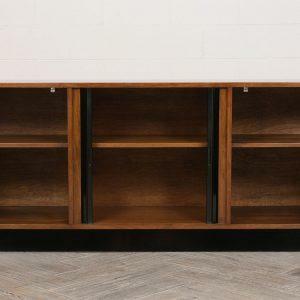 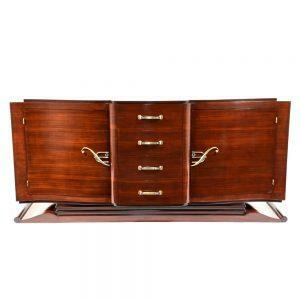 It also features a burled wood top, four front doors, and an interior wooden shelf for ample storage space. 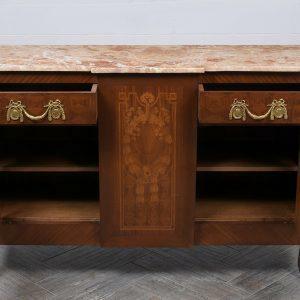 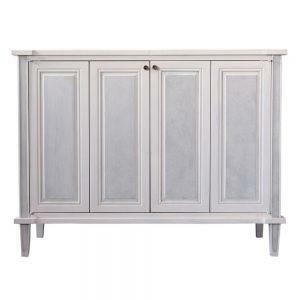 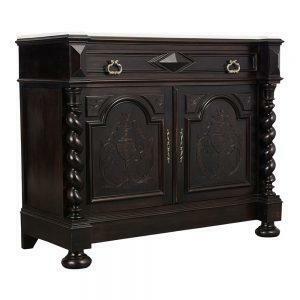 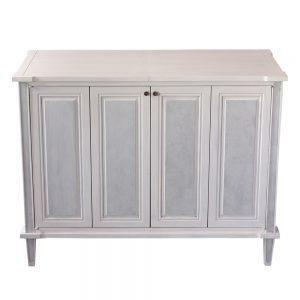 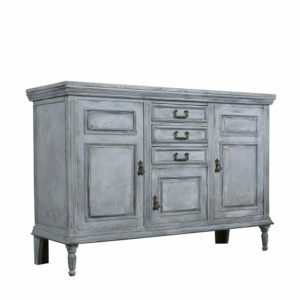 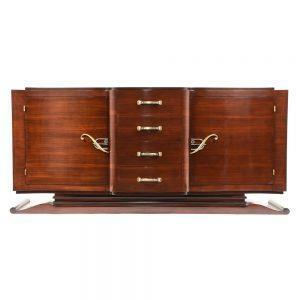 This unique Cityscape credenza is sturdy and ready to be used for years to come.